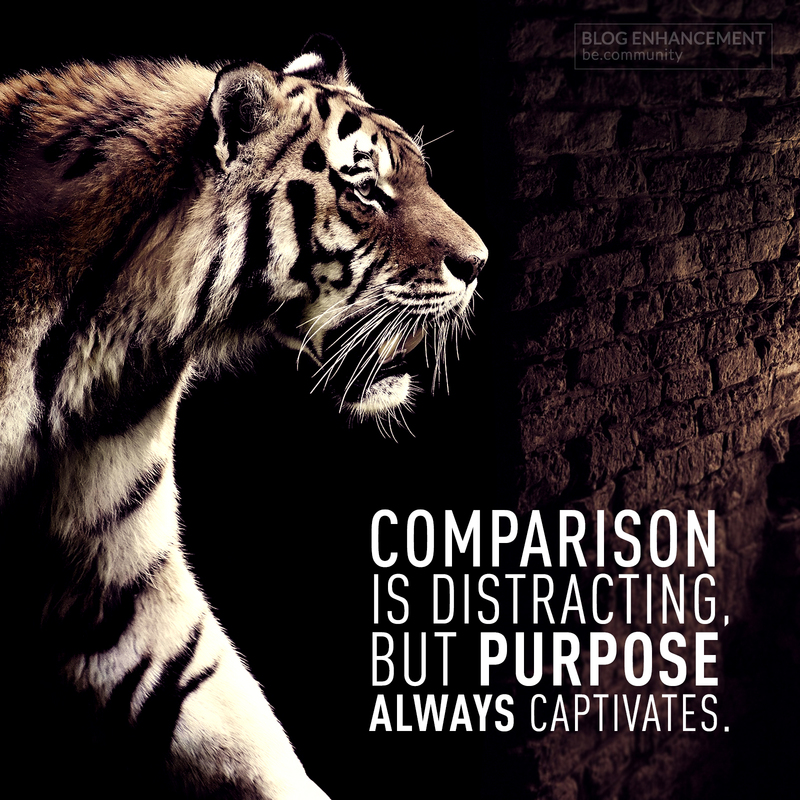 It’s very easy to get distracted by the things that can never give us purpose; comparing wealth, fame, material possessions and even virtues is just a way to give us either a sense of pride, or a sense of resentment. Purpose on the other hand will captivate, it will encourage and motivate. What’s your purpose?